Managers, supervisors, process owners, engineers who participate in developing business plans and improving operations. Both industry-wide and industry-specific standards have incorporated risk-based thinking into their requirements. Some standards call for assessing risk levels and taking action to deal with risks that are identified, others call for organizations to define risk management protocols. But, in all cases, the underlying premise of risk-based thinking is that organizations should always factor in risks as they develop plans, review business results and take corrective action. The intent is for the organization to identify the risk, decide what (if any) action is required and then act. Risk-Based Thinking training teaches learners how to develop and conduct a risk management process in seven lessons. The initial lesson highlights industry standards that now incorporate risk-based thinking. The next five lessons lead learners through the five phases of risk-based thinking. The final lesson in the course explores a sample risk management process complete with forms to track and document risks identified and mitigated (if they are unacceptable threats) or identified and capitalized upon (if they are worthwhile opportunities). 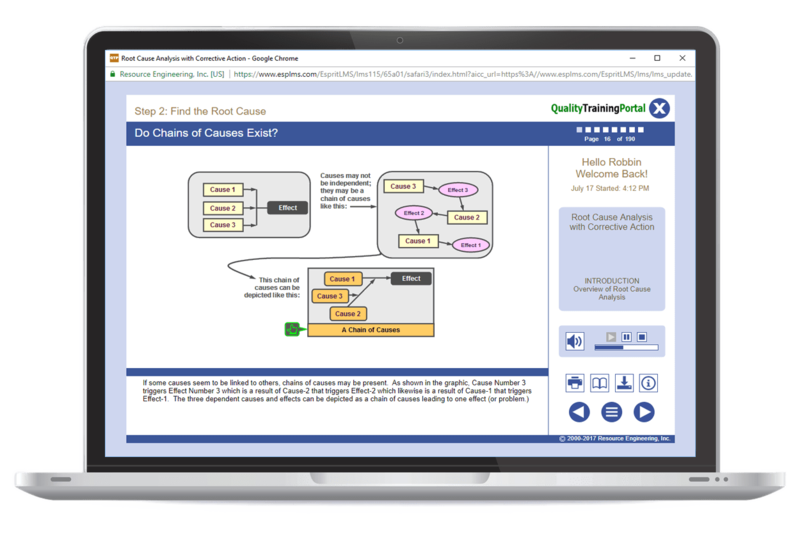 Our Risk-Based Thinking training course is a cost-effective and flexible way to get your entire team up to speed on Risk-Based Thinking without time-consuming off-site seminars or expensive in-house training. Learners take the training when it fits into their schedule and everyone learns the same concepts and terminology in the same way. When you purchase one of our subscriptions, you have full administration of your training and can assign courses, monitor results and use our follow-up reminders to assure everyone completes the training on time. Reports and certificates provide the documentation of training completed that is often needed for audits. Identify, assess and evaluate potential risks (whether they are threats or opportunities). Develop action plans for high priority targets. Measure and track the effectiveness and progress of action taken. Establish a comprehensive risk management process. Understand that some standards have been revised and now incorporate risk-based thinking into their requirements. Be exposed to several industry-wide and industry-specific standards that call for risk-based thinking. Recognize potential risks that signal threats. Realize that a potential risk may be an opportunity, not a threat. Be familiar with common tools to identify threats and opportunities. Know how to analyze the Likelihood of a potential threat or opportunity. Rate the Impact of an event. Plot the Likelihood versus the Impact on a 2-D Matrix. Calculate the Risk Index using the ratings for Likelihood and Impact from the “Analyze Risks” phase. Use the Risk Index to set priorities for action plans to reduce the risk from threats and capitalize on favorable opportunities. Understand how to mitigate unacceptable threats. Be aware of strategies to capitalize on worthwhile opportunities. Be familiar with some common measures and control mechanisms that help ensure that risk mitigation continues to work as planned and that gains made are sustained. Realize that Risk-Based Thinking can lead to a comprehensive Risk Management Process. Be aware of forms that can support the methodology needed for a Risk Management Process. Understand how the Summary Worksheet serves as both an historical document and a communication tool. 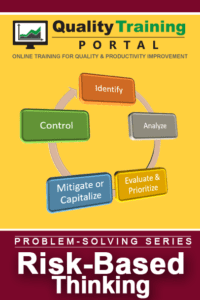 Gain insight on how to develop action plans for high priority targets. Initiate control plans to curb similar risks in the future.